Keep only wanted emails in your inbox by managing the ones you don’t want. Learn how to mark or unmark emails as spam or unsubscribe from mailing lists. Find out why this error happens and see our recommendations for preventing it in the future. 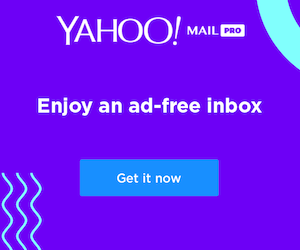 In order to protect people from receiving spam emails, Yahoo sets limits on how many messages can be sent at one time. Learn more about the sending limits. Report photos or videos of yourself that someone else put online, and learn about some of the organizations that can help support you through a difficult time. Should I delete my contacts if my account was hacked? Are you concerned about your contacts getting spam after your account was hacked? Discover why it's not necessary to delete all your contacts. Are you getting messages that aren't addressed to you in your inbox? Find out how to identify their senders and deal with these emails accordingly. Any time a sent email is rejected by an email provider, an automated Failed Delivery notification is sent to the email address that was provided in the From field of the original sent message. Learn what it means if you got a Failed Delivery message for an email you didn't send.